White is tricked in this diagram. 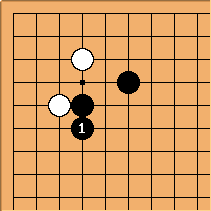 White can't protect against both of Black a and Black b. A favourable ladder is desired by Black, however. 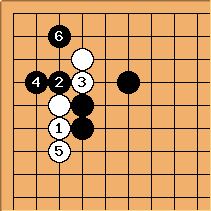 is the correct answer, The position is joseki again after . Dave: Yi played in order to end in sente to play . 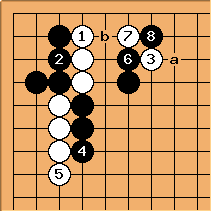 Note that in this and the other pro games where has appeared Black always plays tenuki after . This is a normal, although quite rare, joseki. 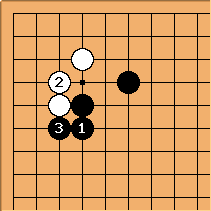 It may offer opportunities for White to go wrong but what joseki doesn't?